Touch Screen Precision Hot Tack Tester for determination of the hot tack seal strength of flexible packaging materials used on vertical form-fill-seal machines. Precise control of hot tack seal process variables (temperature, pressure, and time), enables an optimal balance of material specification, packaging machine speed and seal integrity. Accuracy and repeatability in laboratory heat seal testing is vital, and provides the technology and reliability to deliver time after time. 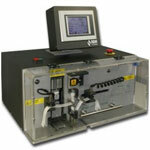 The Advanced Falling Dart Impact Tester has been designed to determine the impact resistance of plastic films, papers and composite sheets by use of a free falling dart. 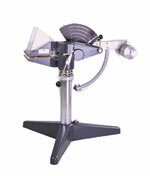 This instrument complies with the ASTM D1709 Method A & B and ISO 7765. 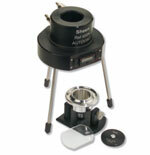 The Digital Ink Rub Tester is designed to measure scuffing or rubbing resistance. Several tests can be performed. including dry rub-the amount of transfer ink from one dry surface to another, wet rub-the amount of transfer of ink from wetted surface to another, wet bleed or transfer-ink transfer to a water-saturated blotter, wet smear-similar to wet bleed with the addition or rub cycles, functional rub/wet rub-smear or transfer tests using a liquid other than water and hot abrasion. An optional heated weight provides a uniform test for evaluating “hot abrasion” resistance of printed cartons, labels etc. The Puncture Tester is designed to measure the energy required to puncture corrugated board and therefore help assess the protective qualities of that board. In addition to the risk of damage from transport and stacking there is the potential of being struck by sharp objects. A puncture head, consisting of a stainless steel right-angled triangular pyramid is attached to a solid arm. The arm, under load, swings through an arc until it contacts the specimen clamped between two horizontal plates. The upper plate is fixed; the lower is spring loaded. Each has a triangular hole to accommodate the puncture head. A collar, loosely fitted to the cylindrical extension to the puncture head, detaches after penetration and adheres to the specimen, keeping the hole open and preventing and braking action on the pendulum. The Q-SUN Xe-3 xenon arc chamber reproduces the damage caused by full-spectrum sunlight and rain. In a few days or weeks, the Q-SUN tester can reproduce the damage that occurs over months or years outdoors. 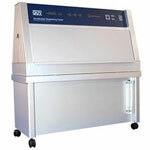 The Q-SUN Xe-3 tester is a full-featured lightfastness, colorfastness, and photostability chamber at a breakthrough price. 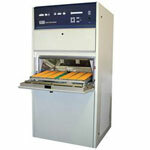 It utilizes three separate xenon lamps for a large capacity. The Q-SUN Xe-3 tester’s slide out specimen tray is 451mm x 718mm and is useful for exposing large, three-dimensional parts or components. 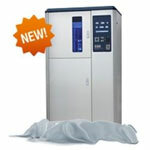 The Xe-3 tester offers standard humidity control, and optional spray, back spray and chiller features.